I was interested in the Honda CRV. While I didn't go ahead and purchase it/still making a decision, this review is for Ricardo Oballe who was a perfect salesman. He didn't try to oversell anything. He literally just answered all my questions very patiently which I think is great sales as it's not pushy and you are putting the customer first. His knowledge was pretty impressive given that he said he was new. If you want great client service, make sure to ask for Ricardo when you visit Honda in Culver City. The quality of customer service was far beyond my expectations. Raufel Muhammad was my Certified Sales Consultant. There was no "Hard Sell" and I didn't feel pressured in any way. He helped me find just the right vehicle and financing that met my needs. In fact, he put me in a car that was far nicer than I thought was possible for me. I generally hate going to dealerships and car lots. Raufel gave me a different experience. A positive one that changed my perception of car buying. I strongly recommend Culver City Honda! Ask for Raufel. He will hook you up with the best deal possible for your situation. 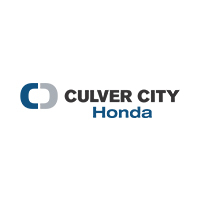 Ric P.
I had a great experience buying a car from Honda Culver City. The staff and dealers and general manager were very helpful trying with me to make the purchase of a car pleasurable, human and fair . I would highly recommend this dealership and the people who work there. I've gotten all my Toyota's here. They not real pushy, but they are trying to sell cars so a bit of that is expected. Ask for Sean. Not sure if he still works there, but he's great. Our lease was up on our Sienna, so I wanted to see if the Odyssey had more to offer before going with another Sienna. I called ahead to see if they had the model in the color we were looking for and they did, so I went over to check it out. Malika greeted me and showed we the Odyssey I was interested in. We took it for a test drive and I was hooked, but I needed a good deal on a lease and trading my Sienna,and she and Alex made the whole thing super easy and got me the payment amount I was looking for. My family is loving our new Odyssey! I LOVE the way it handles and the features inside are great! Both our boys are in car seats, but with the middle seats sliding side to side, using the 3rd row is no problem. I could not be happier with our switch to the Honda family! Our experience has been amazing from the start. The five stars is for Giovanni. He helped me through the whole process. When I walked thru the doors, to when I drove off in my new Si. It bothered me a bit that some cars were installed with packages that's I did not want on the car, but I understand it's out of the dealerships hands of when the car is sent there. No worries, I love the car I chose. I enjoy driving it, and a big thank you to Giovanni. The worst process to go thru, but he made sure to always stay on his toes. He took care of me, so I have to make sure I take care of him. If headed to Culver City, ask for Giovanni! Staff were very helpful and patient! Culver City Honda has a great team, definitely made my experience very easy going. Not to mention the great deal I got on my 2019 Honda Accord!